John Gullick in yet another important new work A History of Selangor (1766-1939) builds on his previous research and writing on the west coast Peninsula's Malay states of Kedah, Perak, Selangor and Negri Sembilan but now focuses solely on the modern history of the kingdom of Selangor. From the establishment of the Bugis-led dynasty founded by Raja Lumu when he was installed as sultan in 1766 through the dramatic colonial impact of the 19th century, and up to the eve of the Pacific War in the 20th century, Selangor acquired unparallelled importance as the economic powerhouse of British Malaya, a position which rapidly led to the state becoming the centre of European control not only throughout the Federated Malay States but indeed throughout Malaya itself. Gullick's examination of the indigenous dynamics in response to these changes is a much-needed and welcome complement to the purely political accounts of the same period to be found mainly in the official files of the British administration. At the dawn of the 21st century, with almost 60 years of indepedent existence as a sovereign nation, Malaysia's development is inextricably intertwined with that of Selangor which contains within it the Federal Territory of Kuala Lumpur. 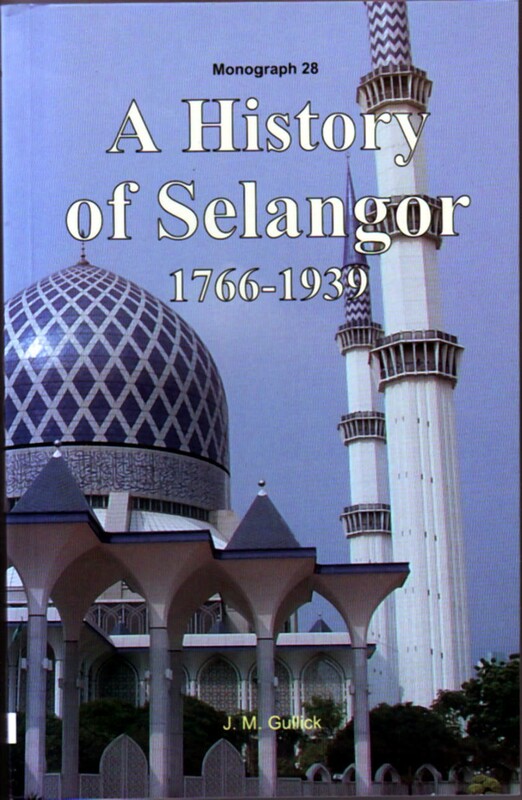 For a greater understanding of the earlier processes which led to this extraordinary outcome, historians for generations to come will be indebted to Gullick for his thorough research and unique interpretation of Selangor history. Originally published in 1998, a second edition was brought out after the book was revised and updated by the author in 2004. "A History of Selangor is the latest in a long line of state histories to be published by the MBRAS and sponsored by Malay royalty. Within such a context it harks back to the colonial-era work of Richard Winstedt, R.J. Wilkinson and M. Sheppard, and deserves a prominent position next to the works of these pioneers of Malaysian historical-writing."